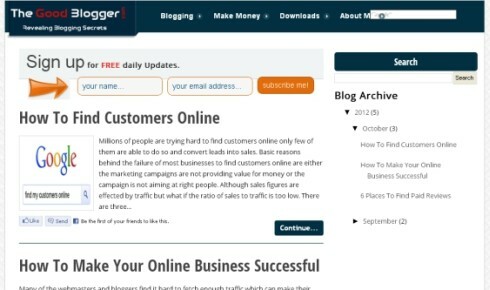 TGB Blogger Template is a free blogger template again adapted from WordPress. 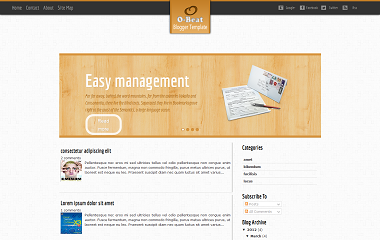 it has amazing CSS3 navigation menu, custom background and page navigation. It has preinstalled . 3. Search for menu item you want to change and replace it with yours. For example youreplace "blogging" with "foottball"
Open Edit Html –>> search for “https://dl.dropbox.com/u/26650107/the_good_blogger/thegoodblogger1.png” and replace it with your logo image. Anak Pi-it Blogger Template is a free beautiful blogger template. It is a three Column template and has a very amazing Footer will great Social Icons with Hovering effect and Twitter Tweets Display. This is a Free Premium template and is very eye catching. Change the Username with yours and count to the no. of tweets you want to appear in the template. 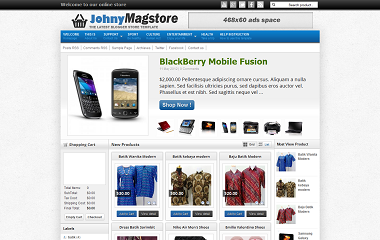 How to install Johny Magstore? 4 Column, 3 Column, Top Navigation Bar, Custom Menu, Bookmark Ready, 1 Left Sidebar, 1 Left Sidebar, Web 2.0, Elegant, Free Premium, Auto Readmore, Fixed Width, Magazine, Ads Ready etc. 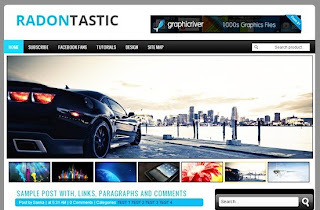 Descriptions Johny Magstore Blogger Template is a free blogger template for your Online Store. It is a 3/5 Column Blogger Template with beautiful features such as 2 sidebar one in left and one in right, 4 column footer, shopping cart for e-commerce blogger platform, automatic featured content slider, ads 468 x 60 px ready, pagination ready, dropdown menu, zooming image, clean design template, and more. This template is best and made just for Online Stores. 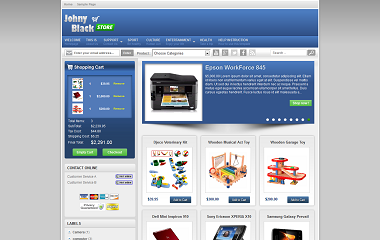 How to install Johny Blackstore? Magazine style blogger template with 4 column blogger template and one left sidebar, 3 column footer, shopping cart for blogger platform, automatic featured content slider, ads 728 x 90 px ready, pagination for blogger ready, dropdown menu, , zooming image, clean design template etc. 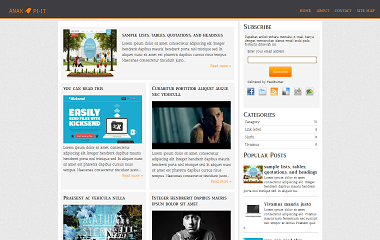 Johny BlackstoreMag Blogger Template is a free blogger template made for Online Stores. It is fully packed with many features such as Zooming when hovered over products picture, cool shopping cart, Google Translate ready, Slideshow Ready, Ads Ready, Widget Ready, SEO Ready etc. 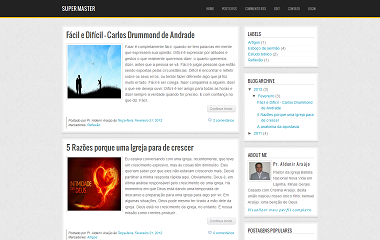 1 Right Sidebar, 2 Column, 3 Column Footer, Top Navigation Bar, Slideshow, WordPress Look, Red, Black, White, News, Technology etc. 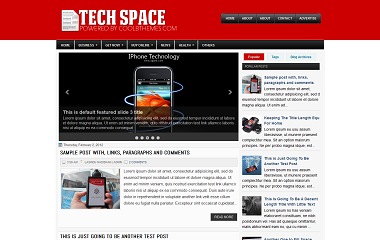 Descriptions Tech Space Blogger Template is a free blogger template related to News and Technology. It has many good features such as Its 2 Navigation Bars, Slideshow, 3 Tabbed Widget, Nice colors etc. This template is best for Reviews, News and Technology blogs otherwise it is suitable for all kinds of blog. 2 Column, 1 Right Sidebar, Right Sidebar, White, Gray, Top Navigation Bar, Custom Menu, Simple, Elegant, Fixed Width, Auto Readmore, Wordpress Look, Footer Columns etc. Descriptions Super Master Blogger Template is a free blogger template again adapted from WordPress. It is of 2 Column template and has a Simple yet Elegant look. This template is clean and fast loading and has many more features. Blue, White, Gray, 2 Column, 1 Right Sidebar, Top Navigation Bar, Slideshow, Right Sidebar, Custom Menu, Footer Columns, Ads Ready, Widget Ready, Fixed Width, SEO Ready etc. Descriptions SEO Company Blogger Template is a free blogger template related to SEO (Search Engine Optimization). 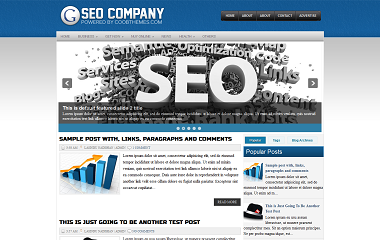 This template is specially made for SEO blogs. It has two navigation menu and a superb color combination of Blue and Gray. 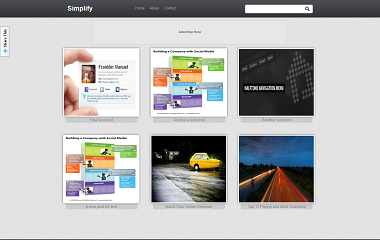 Simplify Blogger Template is a beautiful Gallery style blogger template. Its simple still eye catching. This template has many features such as Gray, Top Navigation Bar, Custom Menu, Widget Ready, Bookmark Ready, Auto Readmore, Fixed Width, Elegant, Simple, Gallery, No Sidebar, 3 Column, Web 2.0 and many more. This template is best for Gallery/Photo Blogs.